Our favorite Chicken House is set to open a restaurant each in Dubai and Sharjah on September 2011 - and soon in other Emirates. I'll keep you updated once an exact date becomes available. 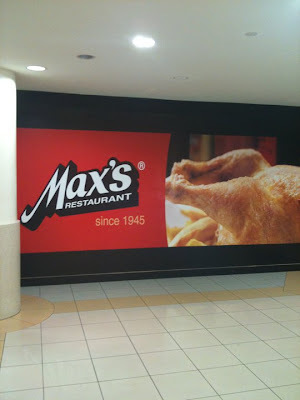 Max's Restaurant replaces Mini Chinese in Sharjah City Centre. My favorite restaurant in Sharjah City Centre used to be Mini Chinese. No choice that's the only restaurant in the mall - but they really have good food. Two months back when we're about to dine in, we're saddened to see it closed. But when we saw what's about to replace it - we're kinda excited it's Max's Restaurant. But we're curious as well if it is the real Max's from the Philippines. 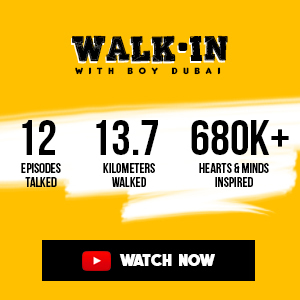 As we know, not everything in Dubai is the same as what's in Manila (Jollibee?). This Facebook Page validates it all. Like it to receive more updates. UPDATE (August 4, 2011) - I've spotted this Max's signage (below) at Spinneys Bur Dubai / Karama. It's just a block away from Burjuman / Centerpoint. Yay! Every time we're on vacation in Manila, Max's is always on top of our list to go to. Actually I'm in Manila while writing this and we just had 'Chicken all you Can' last week. No one until now beats Max's chicken for me. Looking forward to that in Dubai. Also my wife is delighted that her favorite Caramel Bars and Lengua in now in the UAE. And the giant halo-halo... now you're drooling huh? Thank you Max's for coming closer. If there's one Filipino restaurant that will not only appease the cravings of the Filipinos but also capture the foreign appetite as well, it's got to be Max's. By the way, Max's UAE is recruiting. If you know anyone interested in applying for a job with Max's Restaurants in Sharjah please email your CV's to foodmark.hr@cplmg.com.